1) Create a poll using the Create a Poll form. 2) Locate the poll you created in the Content Dashboard. You’re done, the poll was added to your site! You can use polls to collect useful data about your followers and audience. You can find out general demographic information, as well as detailed information about their interests, wants, and needs. Polls require users to participate and get involved with the content, rather than passively reading through it. This leads to greater engagement and participation on your poll page. 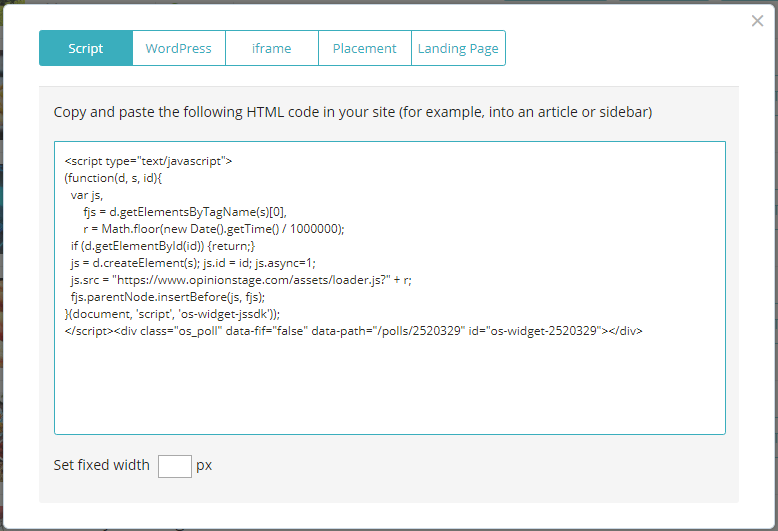 You can add a lead form to your blogger poll to collect leads (e.g. emails, names, etc) associated with each answer.